If you’re sick of dealing with digestive issues and haven’t looked in to the amino acid taurine, I’m here to wake you up. While you may know taurine from its starring role in energy drinks or the neurological problems experienced by Pottenger’s Cats, it plays a powerful role in the gastrointestinal environment. But how powerful? Certainly one can get enough taurine in their diet. But there are a few groups that should be aware that their lifestyle may lead to a lack of taurine. Before we get in to these lists, let’s look a bit at the history of taurine and how it plays in to its biological effects. Taurine is the most abundant amino acid in animals, but found sparingly in plants. For comparisons sake, plants contain about 1/100 the taurine found in meat(1). There is little doubt that taurine is essential for animal life. If you’d like to check out the many reasons why, this article is a good start. Fortunately, animals have a pathway to synthesize taurine from the amino acids methionine and cysteine if their diet lacks it. Herbivorous animals tend to be better at making it which makes sense if you need it but don’t eat it. Carnivores have a tougher time making it but don’t need to since they eat plenty of it. That puts omnivores somewhere in the middle, and this can cause some problems. There’s another large difference between herbivores and carnivores that involves taurine worth mentioning. Animals use bile acids to emulsify fat, making it easier to digest. It also plays a major role in the GI environment and composition of bacteria located within. Though necessary for proper digestion, bile acids are toxic. To prevent bile acids from damaging your cells, they get conjugated with either glycine or taurine before they get sent to your gall bladder. The funny thing here is we see another stark contrast between herbivores and carnivores. Healthy herbivores conjugate bile acids with glycine while healthy carnivores conjugate with taurine. A notable exception in herbivores is ruminants, who mostly conjugate with taurine. Guess where that puts us omnivores…You guessed it, right in the middle. But it’s a little more nuanced than that. All animals studied can conjugate bile acids with either glycine or taurine. In fact, the same enzyme does both(2). Whether an animal conjugates with glycine or taurine comes right down to diet. We don’t have data for herbivores, but in omnivores and carnivores, whether you conjugate with taurine or glycine comes down to the amount of taurine in your diet. Feed a human ample taurine and they’ll conjugate more bile acids with it. Limit taurine and they’ll conjugate more with glycine. Feed unlimited taurine and glycine…you’ll see a large proportion conjugated with taurine(3). It seems taurine must be important in the digestive process. It also seems essential if you’re diet contains meat. 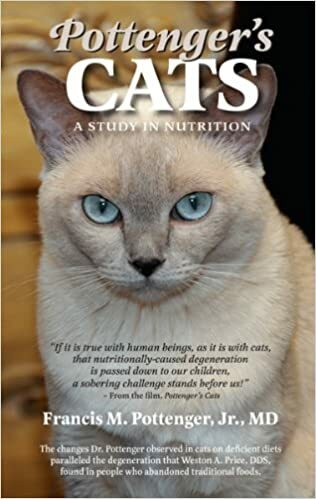 Pottenger’s Cats is an excellent example of what taurine deficiency can do to an animal. It’s also a prime example of how a simple dietary change can cause enormous problems. If you aren’t familiar with Pottenger’s cats, check it out. Cats need taurine in their diet because they synthesize it poorly. In Pottenger’s experiments feeding cats different diets, feeding cats cooked meat caused major issues in nearly every system in their body. It also caused major developmental problems in future generations. Cats fed the exact same diet with raw meat instead of cooked flourished, as did their successive generations. The problem is in the physical characteristics of taurine. Cooking doesn’t damage taurine. But taurine isn’t bound to other proteins in cells, it floats around in cellular fluids. So if I cut in to a raw steak I’ll break some cells open which will cause a small amount of taurine to leak out. If I grind it in to ground beef, I’ll lose much more. If I cook it, any fluid lost will also contain taurine. Those juices you toss…Bye bye taurine. Overcooking the steak till it’s like shoe leather…Bye bye taurine. So a quick rundown…Animals that eat meat need taurine. Animals that eat raw meat get enough, animals that eat cooked meat may not. Well, at least animals that have poor synthesis of taurine. Like cats. But where do we lie? Truth is, we have no idea. Given the relationship between taurine and the amount of meat in an animals diet, there’s something there. I think it’s safe to say that taurine conjugated bile acids have a significant impact on the GI environment. While bile acids are conjugated in your liver and stored in the gallbladder, once they hit your intestine they’re free game. 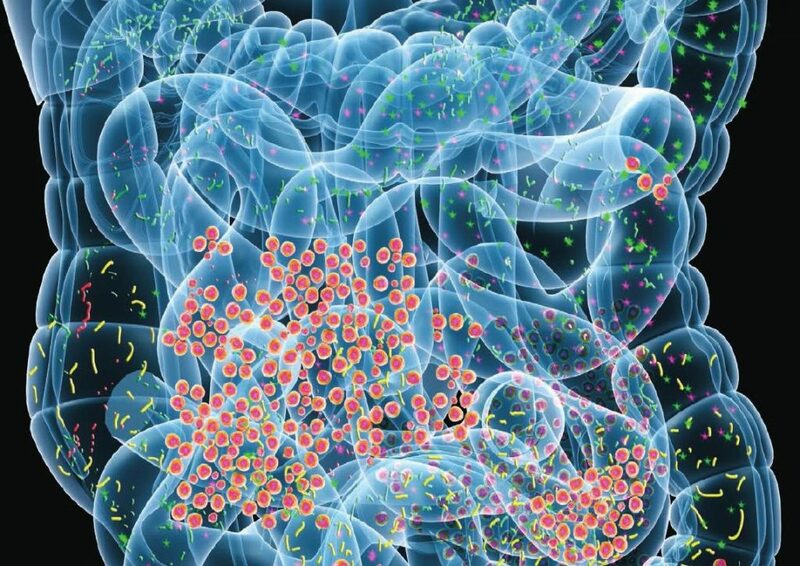 Bacteria located throughout your digestive tract deconjugate bile acids as they pass by. This leaves potentially damaging bile acids in your gut, it also leaves a lot of free taurine. Obviously a carnivorous diet contains a lot more protein than an herbivorous one. If you’re in tune with my line of thinking, you’re thinking taurine may have an effect on digestive enzyme output. In a study with rats, taurine was shown to increase gastric acid secretion(4). In another study with dogs, taurine caused cells in the stomach to secrete more gastric acid and pepsin, but only when stimulated to do so(5). In other words, they have better gastric output when they eat. There is no data in humans, and this evidence is far from adequate to make a hard conclusion on the effect of taurine in gastric secretions. Coupled with the historical aspects of taurine in carnivores, it makes sense that there are components found only in meat that promote protein digestion. And it makes no sense for plants to cause the same gastric response as meat because plants don’t contain a lot of protein. Taurine seems like a good candidate. Taurine conjugated bile acids are more water soluble than their glycine conjugated brethren. This causes them to stick around in the gut tract for longer. This leads to a larger bile acid pool size(6). The primary role of bile acids is to enhance the digestion and absorption of fat. A larger bile acid pool means you’ll be better at both. Taurine conjugated bile acids are also less likely to damage cells of the intestine, called enterocytes. Enterocytes get damaged when bile acids passively enter them. Since taurine conjugated bile acids are water soluble, they can’t enter enterocytes until the ileum unless deconjugated by bacteria. Enterocytes in the ileum have bile acid receptors that take them up and recycle them to the liver, but that isn’t a damaging process. Glycine conjugated bile acids, by being less water soluble, get absorbed passively throughout the digestive tract. This means that the bile acid pool is smaller and the risk for damage to enterocytes greater. Fortunately, glycine conjugators eat more soluble fiber, which is protective to enterocytes. Although, this fiber may have a negative impact on meat heavy diets. In addition to improving fat digestion and absorption, bile acids enhance the absorption of fat soluble vitamins. Therefore, an increase in bile acid pool size improves the absorption of fat soluble vitamins. Fat malabsorption is common in digestive disorders, particularly IBD. Poor fat soluble vitamin absorption also comes with the territory. Taurine may also act as an independent carrier of fat soluble vitamins(7). Taurine forms conjugates with many fat soluble molecules, making them more water soluble. In the eye, taurine aids in the transport of vitamin A(retinol), a fat soluble vitamin(8). This same process may occur in other parts of the body, including the gut. If it didn’t hit you in the face earlier, I’ll hit you with it again. It’s extremely significant that carnivores conjugate their bile acids exclusively with taurine. Taurine conjugated bile acids appear to be better emulsifiers of fat because they are more stable at the pH in the duodenum(9). It makes sense that some component of a carnivorous diet would make digesting and absorbing fats more efficient. Carnivorous diets tend to be higher in fat because animals store more fat than plants do. Sure, nowadays you can get your hands on a 32oz jar of coconut oil, but an herbivore probably doesn’t eat that much fat in a month. The primary conjugation of bile acids with taurine in carnivores implies that a diet with more meat requires more taurine. People who try to heal their gut with the SCD or low FODMAP diet have to eat more meat because processed foods are out. Assuming they are cooking their meat, supplemental taurine may be necessary for these diets. Increased gastric acid secretion and better fat absorption from taurine are 2 pretty important factors that promote the digestion of meat. Since humans have a pathway to synthesize taurine, whether you need it in your diet or not may depend on other factors. One of the factors that decreases synthesis happens to be a widely recommended component of a healthy diet. There is zero disagreement on the benefit of soluble fiber in the diet. Bacteria in your gut ferment soluble fiber in to short chain fatty acids that are preferential fuel for enterocytes(10). SCFAs also reduce intestinal permeability and inflammation. A diet high in soluble fiber also improves blood cholesterol and glucose levels(11). But it’s not all cupcakes and roses with soluble fiber. Soluble fiber intake reduces taurine synthesis in the liver(12, 13). This causes an increase in the ratio of glycine/taurine conjugated bile acids. In an herbivorous diet this has no major consequences, but in a diet that also contains meat, it could be problematic. In a diet with reduced taurine intake due to cooking or processing, it could cause major issues. Again, I like to go back to what this means from an evolutionary perspective. Since a diet containing meat has more taurine, taurine may be a protective factor in animals that eat meat. In the same way, soluble fiber may do the same for a plant-based diet. This could offset the damage from glycine conjugated bile acids. But you don’t have to choose between meat or veggies. It appears you can have your cake and eat it too. Even though soluble fiber lowers taurine synthesis, there’s more than one way to skin a cat. The enzyme that conjugates bile acids prefers to conjugate them with taurine. 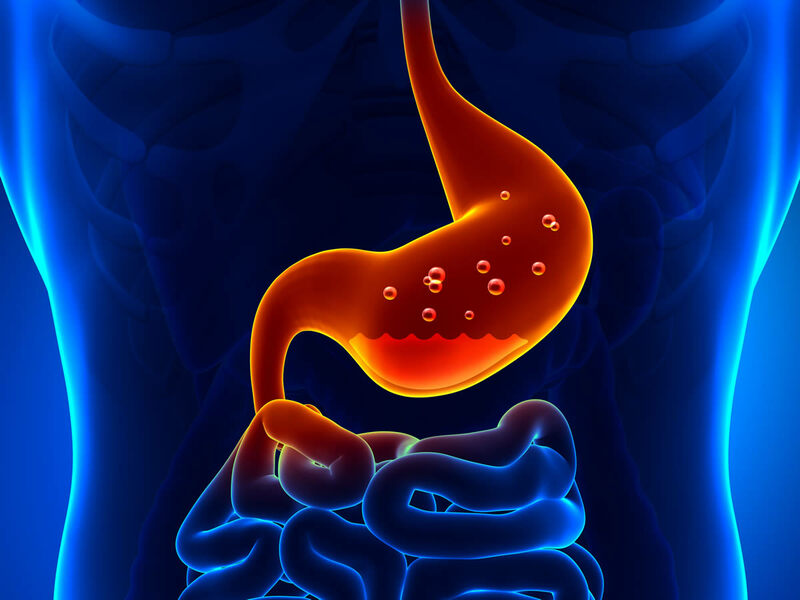 When you supplement with taurine or eat more, you’ll conjugate your bile acids with it. Increasing taurine intake corrects for decreased synthesis in a high soluble fiber diet(14). If there’s taurine present, whether synthesized or eaten, your liver conjugates bile acids with it. In the grand scheme of things, both meat and fiber are primary components of a healthy diet. This doesn’t mean there aren’t drawbacks. The effects of taurine loss by cooking or processing meat is amplified if you eat a diet high in soluble fiber. By taking supplemental taurine, you combine the protective effects of soluble fiber with taurine. You can also reduce taurine loss by cooking meats in stews or pouring the juices lost to cooking over the meat. Soluble fiber isn’t the only game in town when it comes to increasing SCFA production. Taurine increases SCFA production and reduces lipopolysaccharide(LPS) in the gut(15). LPS is inflammatory, so decreasing it has beneficial effects on gut health. In the same study, taurine also reduced levels of helicobacter species. 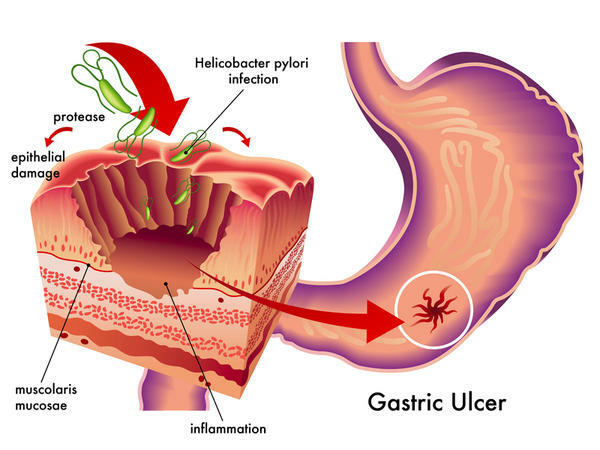 Helicobacter Pylori(H. Pylori) is the opportunistic bacteria associated with gastric and duodenal ulcers. Helicobacter species do not tolerate bile, so higher levels of bile also inhibit helicobacter growth. This effect is greater for glycine and mixed conjugates of bile than for taurine conjugates(16). Fortunately, commensal bacteria including lactobacilli and bifidobacteria are bile tolerant(17)and deconjugate bile acids(18). Both of these properties give them a leg up over pathogens in the gut. Taurine also has a direct effect on the microbiome. Inflammasomes initiate inflammatory cascades and play a large role in host immunity. A specific inflammasome, known as the NLRP6 inflammasome, regulates the the GI environment. Loss of the NLRP6 inflammasome leads to dysbiosis and chronic inflammation in the GI tract. In addition to the effect on inflammatory signaling, the NLRP6 inflammasome is important for mucus secretion from goblet cells, which prevents bacteria from interacting with the intestinal wall. Taurine activates the NLRP6 inflammasome(19). This has many effects on the microbiome due to changes in the GI environment. Loss of the inflammasome promotes dysbiosis and dysbiosis disrupts inflammasome signaling. Specifically, it increases histamine production and decreases histamine degradation. These 2 factors promote the dysbiotic environment by blocking inflammasome signaling. Taurine can rescue inflammasome signaling and restore the healthy microbiome. H. Pylori is found in 50% of the World’s population, but causes no problems in 80% of the people who have it. In some people, H. Pylori causes gastritis and ulcers in the stomach or duodenum. One of the ways it does this is by breaking down gastric urease. When H. Pylori breaks down urea, it releases ammonia and carbon dioxide. This ammonia neutralizes stomach acid and provides an environment where H. Pylori can colonize. It also has the unfortunate side effect of causing major bloating in the stomach and damage to the lining. The release of ammonia also has another effect: it causes ulcers. When H. Pylori colonizes the stomach, it attracts neutrophils. Neutrophils are immune cells sent to contain the colonization. They enter the stomach and secrete hypochlorous acid to kill invaders. When hypochlorous acid reacts with ammonia, it creates monochloramine. Monochloramine irritates the stomach and impairs ulcer healing. 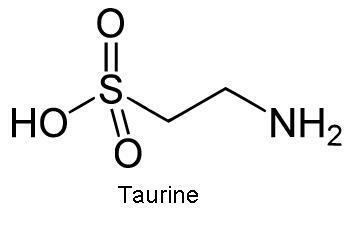 Taurine scavenges monochloramine by binding to it. This prevents the damage caused by monochloramine and speeds up the healing of ulcers(20). Unfortunately, it also means that a person with an active H. Pylori problem likely needs more taurine. When taurine binds to monochloramine, it isn’t absorbed. This means it isn’t used to conjugate bile acids or for any of the other systems that rely on it. This includes the nervous and cardiovascular systems. Neutrophils are highly mobile immune cells that migrate to the site of inflammation or infection. Once in an area of active inflammation, neutrophils undergo activation and begin engulfing pathogens. They also secrete inflammatory cytokines to recruit more immune cells to the area. Taurine is abundant in neutrophils and plays a large role in managing inflammation by combining with hypochlorous acid to form taurine chloramine. Hypochlorous acid on it’s own is damaging to cells while taurine chloramine is not. With inadequate taurine, neutrophils secrete the more damaging hypochlorous acid which reacts with ammonia. It also damages healthy tissue. Once neutrophils do their job at the site of an infection, they undergo something called apoptosis. Apoptosis is programmed cell death and plays a key role in limiting inflammation. When neutrophils burst open, taurine chloramine gets released. Apoptosis is necessary for the resolution of inflammation and attracts macrophages to the area. The macrophages help finish cleaning up the mess. Taurine chloramine released from neutrophils promotes this cleaning up process(21). It decreases inflammatory mediators secreted by macrophages(22) and acts as an antioxidant to reduce collateral damage(23). This helps resolve inflammation and lowers oxidative stress(24). These effects coupled with the anti-bacterial effects of taurine chloramine help resolve inflammation and prevent it from becoming chronic. Taurine chloramine also promotes apoptosis of cancer cells. Hypochlorous acid, in contrast, causes necrosis or cell death due to oxidative damage(25). This subtle difference between apoptosis and necrosis increases the inflammatory response. Many digestive disorders present with altered GI motility. For example, fast motility is common in people with diarrhea while slow motility is common in people with constipation. The cause of the change in motility in both instances is unknown, but recent evidence shows taurine may help in both instances. In a study where low and high contractile states were induced in enterocytes, taurine normalized both states. 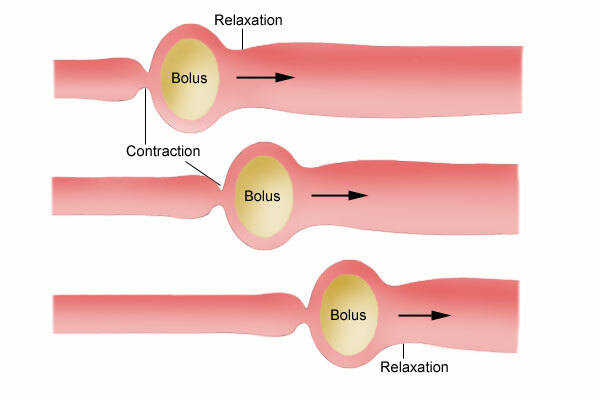 When a low contractile state was induced, taurine stimulated contractility. In contrast, when a high contractile state was induced taurine inhibited contractility(26). This study shows that taurine may play a role in regulating GI motility homeostasis. While the exact mechanisms are unknown, researchers believe that taurine helps via the regulation of calcium channels, which regulate the contractile state. Deconjugation of bile acids by bacteria may release free taurine. This could help regulate motility. Taurine may be a valuable supplement for people with digestive disorders including IBS, IBD, and SIBO. It wears many hats including conjugator of bile acids, regulator of the intestinal environment, and modulator of intestinal motility. Taurine is also useful as an adjunct to other therapies including antibiotic use. It may help maintain a healthy microbiome and prevent post-antibiotic dysbiosis. Taurine loss due to cooking and processing of meat may be physiologically relevant in the human diet. Taurine conjugation of bile acids is dependent on the amount of taurine in the diet. Since taurine in meat is unbound, significant taurine is lost in fluids. Most carnivores and omnivores are protected from this loss as they don’t process or cook meat. Humans are the sole species that cooks the majority of their meat. The need for taurine in the diet is dependent on an animals ability to synthesize it. Herbivores tend to be good at taurine synthesis…carnivores not so much. This is likely due to the availability of taurine in a carnivorous diet reducing the need for synthesis. There is definitely something to this dichotomy between herbivores and carnivores. It’s also telling that herbivores tend to conjugate their bile acids with glycine while carnivores tend to conjugate their bile acids with taurine. While there is no data on herbivores, taurine conjugation of bile acids seems to be the preferred method. With enough taurine in the diet, taurine conjugation predominates. Glycine availability has no effect. But where do we fall on this spectrum? Our ancestral lineage follows the line of an herbivore that began to eat meat. Maybe our ability to synthesize taurine isn’t that bad, maybe it is. The only study on the subject found human taurine synthesis to be a fraction of of that seen in rats, cats, and other primates(27). But there are severe methodological problems with this study. Research may never give a concrete answer to the human need for dietary taurine. Fortunately, taurine is water soluble so sane levels of supplementation aren’t toxic. It’s also fairly cheap and easy to find, so there’s little risk or cost to trying it. Give it a try and let me know how it works out for you. When I post the blog I post the password in the comment section or in the original post. Thanks for reading. Hey saucychick, I don’t believe taurine would help with that. Fiber is probably your best bet, how much is he taking? Another route could be bile acid sequestrants if what he’s experiencing is bile acid diarrhea but you’d need a doctor for that and I don’t think it’s that common for people who have had their gallbladder removed. Thanks for the really interesting article. I have never heard of this supplement before. A couple questions. 1. Are there any guidelines for taurine supplementation? That is always the issue with medicine and supplementation – what is the effective dosage? Too little and it may not make any difference. Too much and you may experience unwanted side effects. 2. Does taurine help with bile acid diarrhea? You talked about the role of taurine to conjugate bile acid in a way that makes it less disrupting to entrocytes. I wondered if that meant excess bile acid could exist in the colon without causing diarrhea. Thanks again for the great article. wow another amazingly informative article. You should be a practitioner. You just helped me tons more than 6 MDs. Thanks, glad it helped. I do work with people and have a program to help people set their circadian rhythms. Thanks for reading! Have you seen this study? It suggests taurine-conjugated bile acids are likely to promote colon cancer — not promising for taurine supplementation if true. Yeah, I saw that study when I was researching this one. I agree with the premise that a Western lifestyle promotes CRC and that taurine may be a contributing factor to that effect. The problem with the study is that it uses the presence of taurine in the low fiber Western diet as a primary mechanism for CRC where the Western diet is horrible on many fronts including being low fiber and leading to poor blood glucose regulation. It also completely ignores other factors in the Western lifestyle such as circadian disruption and physical inactivity which are major independent risk factors for CRC. I cover some of those aspects in my Circadian Retraining Program. Simply put, I believe a healthy dose of omnivory is probably ideal on the diet front and certain other factors are at least equally important. I do still take taurine as well. Look at the Maasai, their diet is almost entirely milk, meat, and blood and they don’t get CRC. They more than likely get huge doses of taurine simply from the blood. The problem with this study is that it looks at one effect of taurine in isolation. More recent evidence indicates that taurine appears to be anti-inflammatory in the colon via activating the NLPR6 inflammasome and others have found that taurine increases bilirubin, and thus, secondary bile acid detoxification in the colon. Finally, again it comes down to context. H2S at high levels is toxic to cells, but at lower levels has been used to pull human cells out of senescence, so to say it causes colon cancer would be misleading. Even water is toxic at a high enough level, but it wouldn’t be correct to call water toxic. Small amounts of B. wadsworthia are normal and likely non-concerning. Thanks for the thoughtful and thorough reply. HI there, I really enjoy reading your blog. My concern is that the scientific papers that you use are out of date. In this article alone I see one that dates back to 1959! You clearly know your stuff and your blog is helping many. May I humbly request that you update your research to enhance your credibility. Keep up the great work. Hey Aimee, I’m not sure why you are concerned with the date of a reference, is there some methodological problem you see with the study? I wouldn’t simply base the quality of a study on when it was published. WRT the article in question, this is the only study that looked at how taurine intake affects bile acid conjugation in healthy humans. No more recent study looked at this so this is the most relevant article, I have no idea what you mean when you say to enhance your credibility”. If there was a more recent study that looked at taurine intake in healthy humans I would have used it, but there’s not. The only studies look at other animals or people after surgery for a biliary fistula so you can’t extrapolate that data to healthy humans. This study is also cited by a number of more recent publications including 6 from the last 5 years so it’s most likely a credible source. Are you suggesting that I ignore an effect based on the date of it’s publication if there’s no more recent data?